Writer-turned-politician steps down after unreported $480,000 “personal” loan called into question. Tokyo Governor Naoki Inose announced his resignation at a press conference Thursday morning following a loan scandal that tarnished the politician who just months ago helped his city secure the 2020 Olympic games. His fall from grace follows the revelation of a 50 million yen ($480,000) “personal” loan from hospital conglomerate Tokushukai – an organization that is currently embroiled in an election-rigging scandal involving Takeshi Tokuda, a member of Japan’s House of Representatives and son of Tokushukai’s founder. 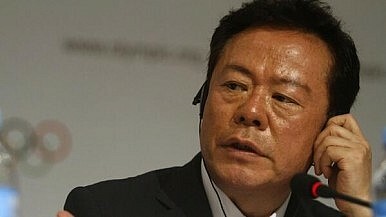 “I made efforts to fulfill my responsibility to explain [the money in question] to the public at Tokyo Metropolitan Assembly meetings and press conferences, but I couldn’t dispel their suspicion,” Inose told members of the press who had gathered at the Tokyo metropolitan government office in anticipation of his resignation. “I would never want to hold up the administration of Tokyo and preparations for the Olympic Games due to my personal issues. I came to the decision that I had to quit. I’m very sorry and I want to apologize,” he added. Inose, an award-winning nonfiction writer before entering politics, garnered national acclaim for his musings on Japan’s World War II defeat and the life of nationalist author, playwright and director Yukio Mishima. He was elected governor in a landslide win last December. Over the past two weeks, Inose was vigorously questioned by a specially formed assembly committee that included 18 members from both the ruling Liberal Democratic Party (LDP) and opposition parties. Videos show a visibly distressed Inose dripping sweat as he attempted to deny any wrongdoing. As a member of public office, Inose is legally bound to report any funds that are accepted as campaign contributions. The 50 million yen “loan,” handed over to Inose before last December’s elections, was never reported – though he testified that the sum had been repaid in September. Inose’s powers as governor, which include approving the opening of new hospitals, created a direct conflict of interest with Tokushukai. Japanese Prime Minister Shinzo Abe insisted that a decision from either the assembly committee or Inose himself be reached as soon as possible, to prevent the scandal from tainting Tokyo’s Olympic preparations. An election for Inose’s successor will be held in February. After his turbulent experience as a politician, Inose said that he will return to writing.